The Static Load Test calculates the Safety Factor of the stem and roots of a tree during a storm using engineering principles. The Static Load Test calculates the tree likelihood of stem breakage and root plate failure in high winds. The Safety Factor is calculated by applying a known load, to simulate wind load, to the tree and measuring deflection in the stem and incline at the base. 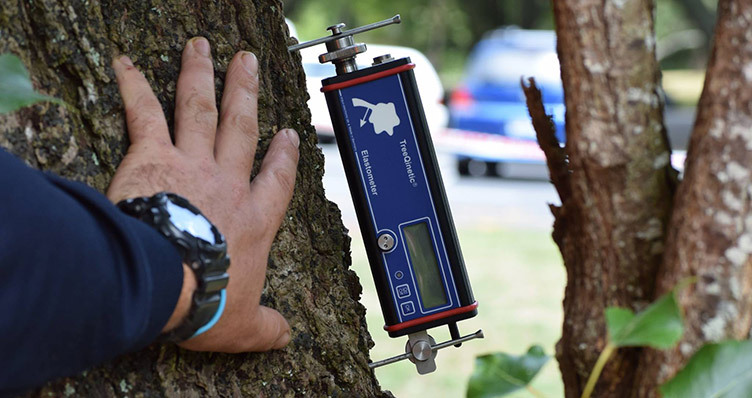 The Static Load Test is often used to calculate if a tree has been made unstable by root damage and severance, for instance on a construction site. These measurements deflection and incline are passed through a computer program that analyses them against the material properties of the wood of the tree that are held within a database of different tree species that has been derived from tests on thousands of trees compiled from decades of research. We have invested in research to support the development of this technology and our Senior Consultants, are the UK’s leading experts in the field of Tree Statics and Wind Load Analysis.